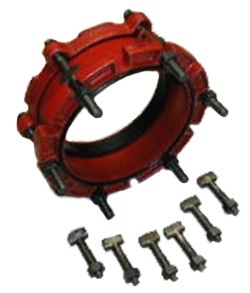 For connection of standard size pipe using the same nominal pipe size. 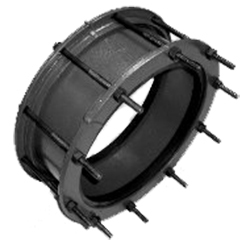 Available for nominal pipe sizes 3" through 48"
For connection of a plain end pipe to flanged end. 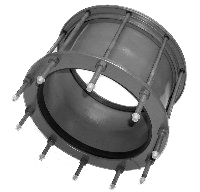 For AC,CI, DI, PVC and Steel pipe. 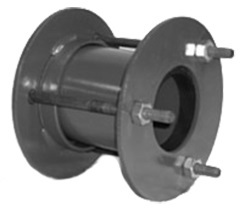 Type of Pipe: AC, CI, DI, HDPE and Steel Pipe. 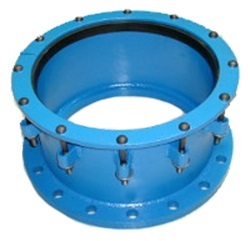 Pipe size: 4" through 48"
For connection of two different nominal pipe sizes or two diffrent types of pipe. Available from 6" through 48" at large end. And 4" through 46" at small end.